Not only do they release mass-murdering Arab Muslim terrorists, they won’t even revoke their citizenship. 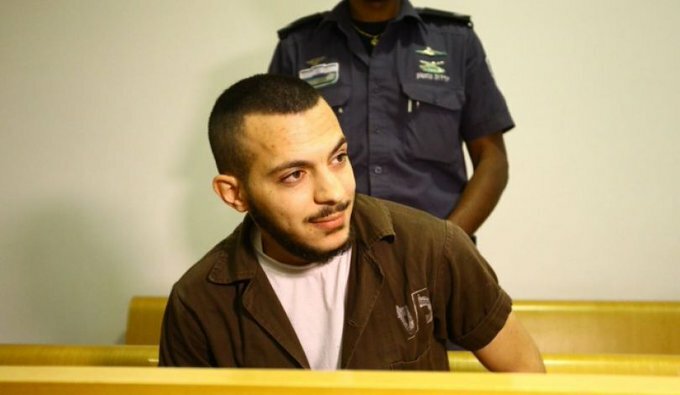 The Supreme Court on Monday suspended the revocation of the citizenship of Alaa Raed Ahmad Zayoud, a resident of Umm al-Fahm convicted of a 2015 car-ramming and stabbing attack of four victims outside Kibbutz Gan Shmuel, near Hadera. Zayoud has been sentenced to 25 years in prison, and Interior Minister Aryeh Deri (Shas) later exercised his authority under the law to order the revocation of his Israeli citizenship. The revocation was due to take place last October, after it had been approved by both the Haifa District Court and the attorney general, according to the law. Zayoud appealed to the Supreme Court, where Justice Yitzchak Amit agreed to hear his case. On Monday, Amit placed an injunction on the Interior Minister’s action, noting that there is no urgency in the case, seeing as the terrorist would not be resuming his civilian life before the year 2040. Amit suggested that once the Supreme Court rules on Zayoud’s appeal, Minister Dery would have plenty of time to revoke his citizenship, should the appeal be rejected. It is not likely that the Supreme court will find fault in the 30-page ruling of Judge Avraham Elyakim of the Haifa court, which stated: “Two determinations can be made in a clear and distinct fashion: [Zayoud] violated his loyalty to the State of Israel in a concrete and significant manner, and revoking his citizenship would cause serious harm to his constitutional rights.” However, the Judge reasoned, seeing as the defendant cast aside his constitutional obligation as an Israeli citizen not to murder other Israeli citizens, he can hardly argue against losing his constitutional privileges.